With a population of over 1.2 million people Mandalay is Myanmar’s second-largest city and was the Kingdom of Burma’s last royal capital. Founded in 1857 by King Mindon at the base of the city’s namesake, Mandalay Hill, the city fell to the British in 1885. Shortly after surrendering, the king and his family were banished to India, a common punishment for those who defied British colonial expansion. Very few of the king’s immediate family ever returned to Burma, yet their former home, Mandalay Palace still stands. Situated in the old city the palace is a popular sightseeing stop in what can be considered the epicenter of Mandalay tourism. Located 716 km north of Yangon, tourist-friendly Mandalay is an important transportation hub that is included on many travelers’ itineraries. The city can be easily reached from a number of the country's most visited places utilizing a variety of transportation methods. Mandalay has a number of reasonably priced hotels, guest houses and hostels which are accustomed to hosting foreign visitors. The majority of accommodations in laid-back Mandalay, particularly the area around the Royal Palace, will have some English-speaking staff who will often act as travel agents of sorts, booking tours, train and bus tickets which makes exploring the city and surrounding area very easy. The city is probably best known for its ornate Buddhist monasteries and historical sites such as the former Royal Palace. The palace is essentially the physical center of the modern city and its tourism epicenter. Many of Mandalay’s most interesting sights can be found here in what is known as the Mandalay Archaeological Zone. 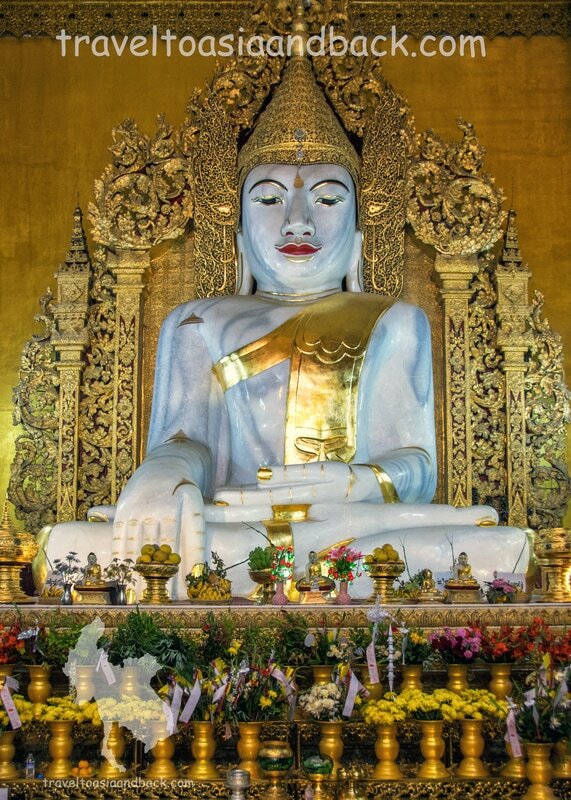 In addition to the Royal Palace and the Mandalay Cultural Museum, visitors will find a number of must-see sights in the zone including Myanmar’s second holiest site the Mahamuni Pagoda, the all teak wood Shwenandaw Monastery, Kuthodaw Pagoda and Kyauktawgyi Pagoda. The pagoda-studded Mandalay Hill is also considered to be in the Archaeological Zone. The famous hill is an important pilgrimage site for Myanmar’s Buddhist community. Providing a lovely view over the city, it is hugely popular with both locals and tourists. Mandalay is also commonly used as a base to explore the ancient cities which lie just out side of town. Amarapura, Inn Wa (Ava), Mingun and Sagaing are well known for their historical and cultural sites that includes pagodas, monasteries and the famous U-Bien Bridge. ​Although Mandalay can be reached by plane, train, bus or boat, the fastest and easiest way to travel between Myanmar’s major cities is to fly. However, domestic flights in Myanmar are generally expensive. Budget travelers will find that train or bus travel is far more economical than flying but can be extremely time consuming. Mandalay International Airport (MDL) receives domestic flights from Bagan, Bhamo, Heho, Kengtung, Lashio, Myitkyina, Naypyitaw, Putao, Tachileik and Yangon. Some of the reputable airlines that serve this airport include Air Bagan, Air Mandalay and Asian Wings. Air Asia and Bangkok Airways operate daily direct international flights from Bangkok and Chiang Mai. Silk Air operates flights from Singapore while China Eastern Airlines services Guangzhou and Kunming. The airport is located 35 km south of the city and can be reached by taxi for around 4000 Myanmar Kyat (MMK). Mandalay’s Central Railway Station is conveniently located in the city center which makes reaching the station to purchase tickets and board trains very easy. This station is the terminus of the Yangon to Mandalay line; three trains per day make the 622 km trip in approximately 13 to 15 hours. The Northeastern Railway Line is a popular travelers’ route linking Mandalay and Lashio. Every morning train number 131 departs Mandalay for the former British hill station of Pyin Oo Lwin. From Pyin Oo Lwin it continues on across the Gokteik Viaduct to the well-known trekking destinations of Kyaukme, Hsipaw, and finally Lashio. Only one train makes this journey per day, departing Mandalay at 04:00 and arriving in Lashio at 19:35. On the return trip, the train depart Lashio at 05:00 and arrives in Mandalay at 22:40. Two trains per day travel between Mandalay and Bagan (Nyaung Oo). The number 120 “express” train makes the 179 km trip in 8 hours while the number 118 train, making all the stops on this route, takes 12 hours. Although this is not the fastest way to get to Bagan it certainly is the least expensive; ordinary class tickets can be purchased for 1,300 MMK or around 1.30 USD. It should be noted that the train station in Nyaung Oo is approximately 9 km from Old Bagan. Mandalay’s Northern Railway Line departs five times a day for Shwebo, Kawlin, Naba and Myitkyina. One train per day travels on the Western Railway Line to Monywa. Departing at 05:30 the trip takes 6 hours and costs 700 MMK. With three main bus stations Mandalay is a major bus transportation hub. Almost all of Myanmar’s most interesting and popular travelers’ destinations can be reached from Mandalay. It should be noted that the city’s bus stations are all located on the highway well outside of the city centers. In Mandalay (and Yangon) it is simply easier and more economical to purchase bus and shared taxi tickets from hotels or travel agencies. In Mandalay we bought tickets from an agency which caters specifically to bus travel. Their office is located on 30th Street approximately 300 feet east of the Mandalay Railway station. Shared Taxi’s are a very common and inexpensive means of transportation in this part of Myanmar. Mini-buses (vans) or even SUVs carry passengers between Mandalay and destinations such as Pyin Oo Lwin, Kalaw, Nyaungshwe. The charming town of Pyin Oo Lwin, a former British hill station, lies 44 miles (70 km) east of Mandalay. At an altitude of over 3500 feet (1067 m) above sea level, this town is considerably cooler than Mandalay or Yangon and makes for a pleasant change. Budget guest houses often do not have air conditioners, they are simply not needed. Hot showers on the other hand are a big plus particularly in the mornings. Anyone who has been to Yangon can attest to its high temperatures and humidity. To escape the stifling conditions in the capital city before the days of air conditioning, each summer the former colonial government moved its administrative capital to Pyin Oo Lwin. Many of these colonial era buildings are left standing, some still in active use. One of the main reasons to visit Pyin Oo Lwin is to explore the area south of the Mandalay-Lashio road down towards the entrance of the National Kandawgyi Gardens. This is where you see many colonial era churches, homes, schools and other government buildings on carefully manicured tree lined streets. Looking strangely out of place, brightly painted Victorian era horse drawn carriages are the most common method of transportation. Depending on your departure city, Pyin Oo Lwin can be reached by train, bus, taxi or share taxi from Yangon, Mandalay, Hsipaw and Lashio. However, a very common traveler’s route is to take a share taxi from Mandalay and spend a day or two in Pyin Oo Lwin, before catching the train to make the journey across the Gokteik Viaduct. A share taxi is a very practical option; the trip is less than an hour and a half and costs around 7 USD. The train ride across the Gokteik Viaduct is a fantastic experience. The scenery along the entire route is beautiful and crossing over the viaduct is breath taking. Many travelers come to this part of Myanmar specifically to do this one section of the Mandalay to Lashio railway line. Completed in 1900, this traditional trestle bridge spans 2260 feet (689 m) at a height of 355 feet (102 m) over the gorge below. At the time of completion it was the world’s highest bridge and a true engineering marvel. Traveling from Mandalay towards Lashio there are a number of towns where travelers commonly stop and board the train. Towns on the south side of the Viaduct include Mandalay, Pyin Oo Lwin and Gokteik stations. Popular destinations north of the viaduct are Nawngpeng, Kyaukme, Hsipaw and Lashio. Gokteik and Nawngpeng stations are immediately before and after the viaduct and can be utilized to do the shortest railway route possible. An interesting destination along the Mandalay-Lashio line is the town of Hsipaw. 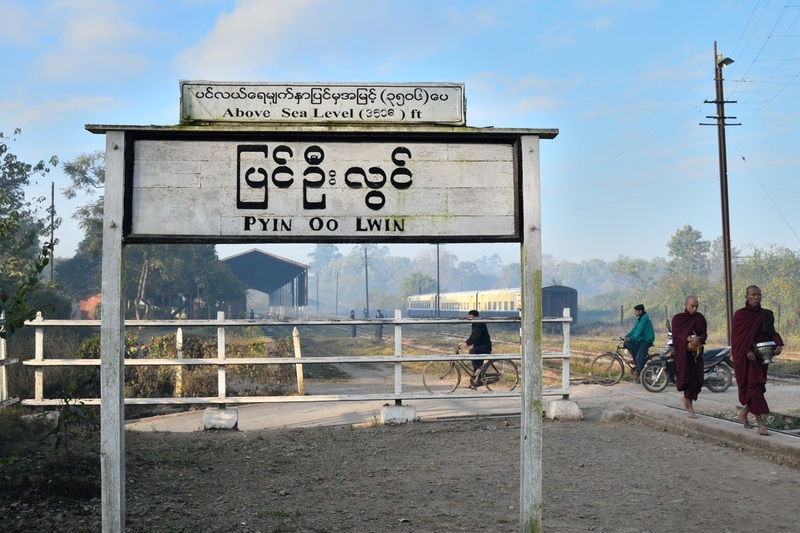 Located in the Shan State approximately 88 miles (142 km) from Pyin Oo Lwin, the trip by train takes approximately 7-8 hours but there are often delays. The train departs Pyin Oo Lwin station at 08:22 AM; tickets can be purchased the afternoon before the journey, a first class ticket costs less than three dollars. To get the best view when crossing the viaduct request an “A” seat on the left hand side of the train. When traveling the opposite direction, towards Mandalay, choose a seat on the right hand side, seats “B” and “C”. 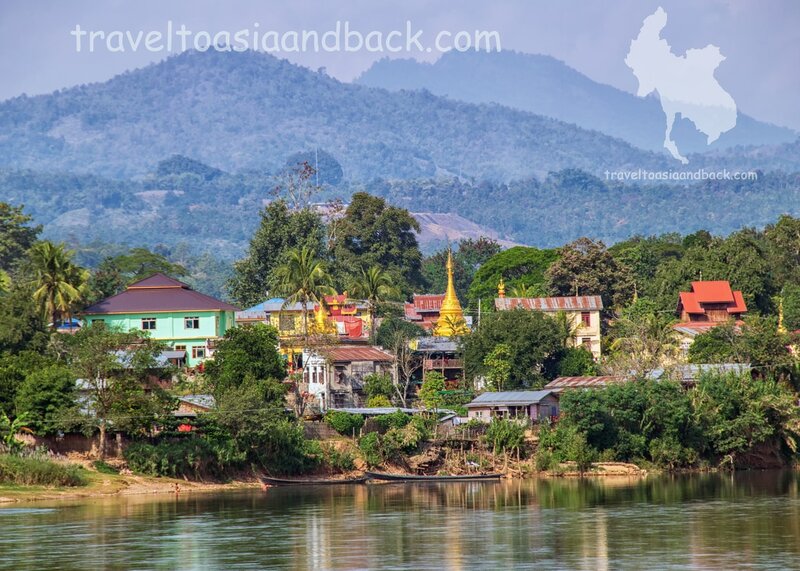 Situated along the banks of the Myitinge River, Hsipaw is a busy market town. You will meet other travelers here, but the large tour groups encountered else where are noticeably absent. In the center of Hsipaw is the central market where Kachin and Shan people from the surrounding villages come to buy and sell all types of house hold goods, clothing, rice and packaged food. Just around the corner from the central market is the morning market. Here you will find the traders of produce, meat and fish. Wondering around these markets is a great experience, another good opportunity to meet and talk with local people. 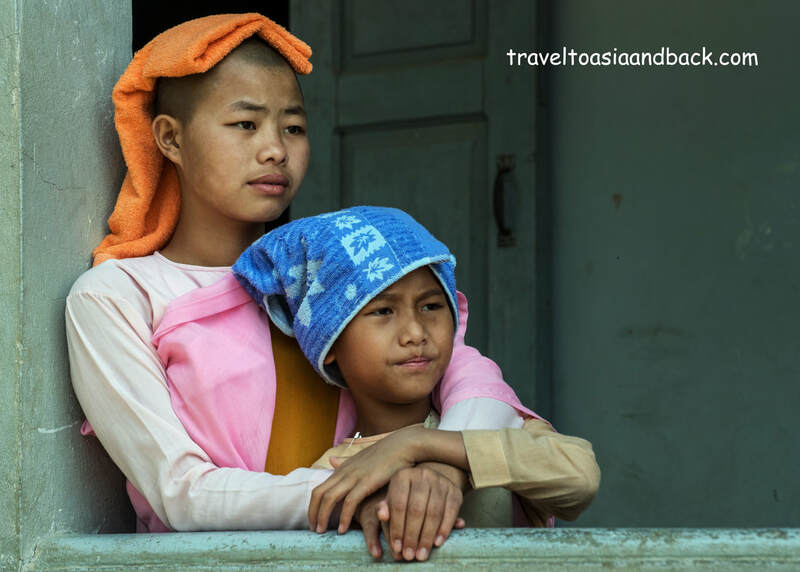 Trekking to Shan villages is probably Hsipaw’s main attraction. Organized treks can easily be booked through guest houses, but it’s also possible to a good bit of hiking on your own. Simply head south on the main road past Hsipaw bank, towards the town’s largest pagoda the Maha Muni (Mahamyatmuni) Paya. Keeping the Pagoda on your right, the road narrows as it winds its way through fields and Shan farming villages along the west bank of the Myitinge River. The well worn path loops clockwise back towards town and can be completed in a couple of hours. Other sites worth visiting include The Shan Palace and the pagodas of “little Bagan” located next to the all teak wood Maha Nanda Kanata Kyaung Monastery. Traveling from Hsipaw up to Lashio by train takes at least 4.5 hrs, so many travelers who have already completed the viaduct stretch will choose to continue the journey by bus or share taxi. Like wise, many people heading in the opposite direction back to Mandalay will do the same. The share taxis that travel from Hsipaw to Mandalay are actually vans or mini-buses. Although they are cramped and less comfortable than a traditional bus, shared taxis have an advantage in that they offer door to door service. They will pick you up at your hotel or guest house and drop you off your next accommodation. The trip from Hsipaw to Mandalay takes approximately six hours and costs around $7 USD and can be booked through guest houses or bus ticket booths. Copyright ©2016 traveltoasiaandback.com All Rights Reserved.